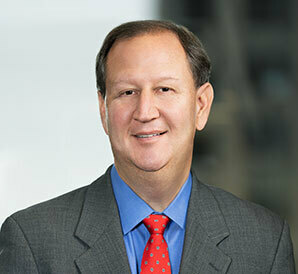 Doug concentrates his practice on commercial real estate, corporate and business planning matters. He has experience representing both institutions and entrepreneurs in those areas. Doug’s real estate practice includes a particular emphasis on representing publicly traded real estate investment trusts (REITs) and institutional lenders. He has significant experience in the structuring and operation of domestic and international joint ventures that combine institutional partners with developers. Doug also has experience with Shari'ah-compliant financing techniques. In addition, Doug’s practice includes experience with all types of leasing, acquisitions and dispositions. Doug’s corporate practice has allowed him to provide innovative solutions to clients that range from institutional investors to principals of technology start-up companies to executives at Fortune 500 companies. Much of his work has involved structuring transactions ranging from establishing complex joint ventures to working with entrepreneurs to create new companies. Additionally, Doug’s corporate practice has included the negotiation of many stock and asset sales and financings as well as debt purchases, trademark and software licensing, transportation contracts and employment agreements. Representation of Ventas in connection with the purchase of over $1 billion of new senior housing facilities in an novel RIDEA structure. This included negotiating the terms of transferring facility operations to a Ventas taxable REIT subsidiary and entering into management agreements with a third-party manager. Headed up a team that created a European operating platform for a public U.S. real estate company having operations and investment activities in Belgium, France, Germany and the Netherlands, as well as financial and managerial operations in Luxembourg. The project involved cross-border tax strategy in each of the countries of interest for the client and its institutional co-investors, as well as legal engineering in the areas of corporate matters, employment and real estate law, and supervised coordination of local counsel in each EU country of interest. Represented First Industrial in the formation of a $425 million joint venture with the Kuwait Finance House, a publicly-traded financial institution and global investor. The joint venture acquired net leased industrial properties throughout the US, and each acquisition was consummated utilizing Shari’ah-compliant institutional, and generally securitized, financing. Represented First Industrial in the formation of a $900 million net lease co-investment program with UBS Wealth Management-North American Property Fund Limited, investing in long-term single tenant net lease industrial properties throughout the US. Each such acquisition was financed with institutional, and typically securitized, financing. Represented First Industrial in the formation of four joint ventures with CalSTRS, including three joint ventures for an aggregate investment of $1.8 billion in U.S. real estate and a $285 million joint venture for real estate investment in Canada; and in the negotiation of several subscription debt facilities with WestLB AG, New York branch, including two multicurrency facilities totaling $950 million. Represented U.S. Bank in $300 million revolving credit facility for Pacific Capital Bank secured by refund anticipation loans. This financing replaced a securitized conduit facility that had been used in prior years and was the first such credit facility. Represented Ventas in creation and implementation of a novel structure for holding numerous senior housing projects in Canada. Represented Ventas in numerous real estate projects, including sale of a $60MM portfolio of senior housing projects, and real estate development joint venture with Trammell Crow.